If you would like a signed copy of Blade of Dishonor, they are available through The Mysterious Bookshop in Manhattan. It’s a great store, I recommend dropping by. You can also buy them through their website. 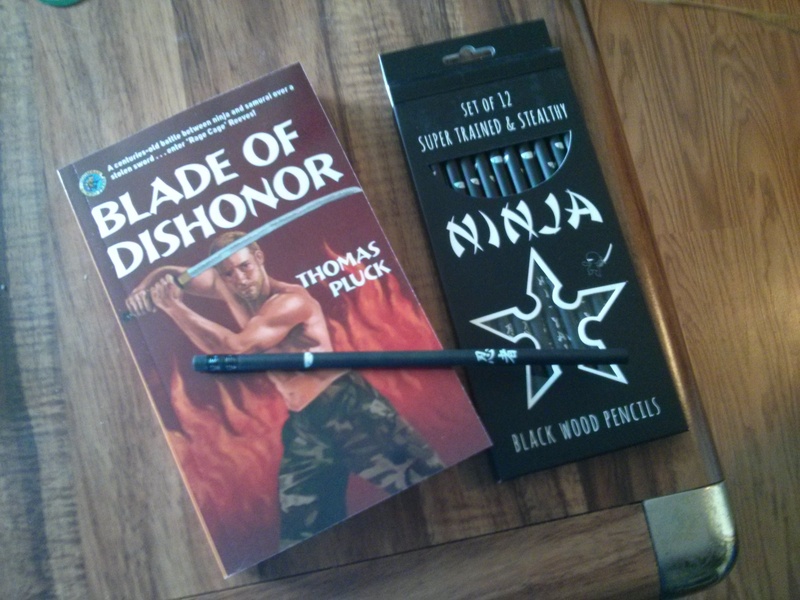 If you would like a personally inscribed copy, and a sweet ninja pencil (which can also be used to assassinate the enemies of the Shogun, with the proper training) you can order them from me using this handy form.